A major fire destroyed an important building in the downtown Limoilou neighbourhood, but everyone got out safe... including a very popular resident, the Limoiloup. 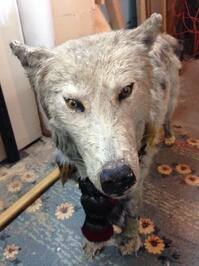 Our Julia Caron had to find out what happened to the iconic wolf. She speaks with the wolf's former owner, Christian Falardeau, along with longtime Limoilou resident/photographer David-Maxime Samson. For details on how you can help those affected by the fire, visit Pour les sinistrés du 15 janvier 2014 de Limoiloup (Facebook page). 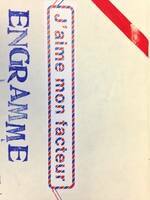 Sharing your love of mail, via the mail. That's what artists in Quebec City have been doing since 2012, and with recent proposed changes to Canada's postal service, their mission has been renewed. It was all started by Engramme studios in Quebec City. Ilana Pichon is a mixed-media artist, who loves working on projects that take her art outside of traditional gallery spaces. She sat down with our Julia Caron to talk about how creating postal art brought back childhood glee.